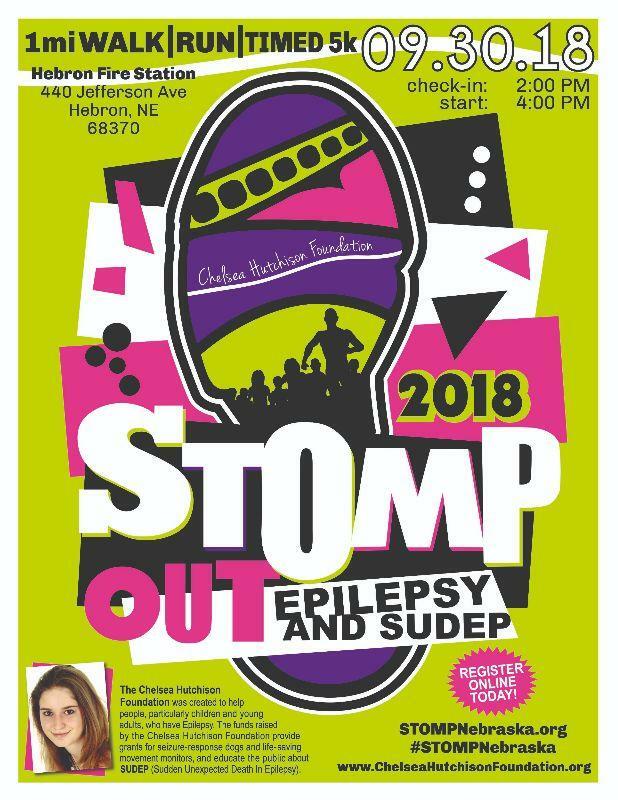 Join us at the Hebron Fire Station on September 30, 2018 to STOMP Out Epilepsy and SUDEP at an Awareness Walk/Run. Fee guarantees an event tshirt if registering before August 15, 2018. We always order extras, but after that, tshirts and tshirt sizes are subject to availability. Walk Day Registration is $35 Adult (13 and up) and $20 Children (7-12). Dogs are welcome as long as they are leashed at all times and picked up after. Service dogs are welcomed and encouraged. 2:00 PM Check-in and Walk-up Registration begins 4:00 PM Walk/Run begins *Entertainment, drawings, food and festivities immediately afterwards.